From the moment you enter the front door to the Grand Lobby of ZEN King West, you are greeted by elegance and charm. 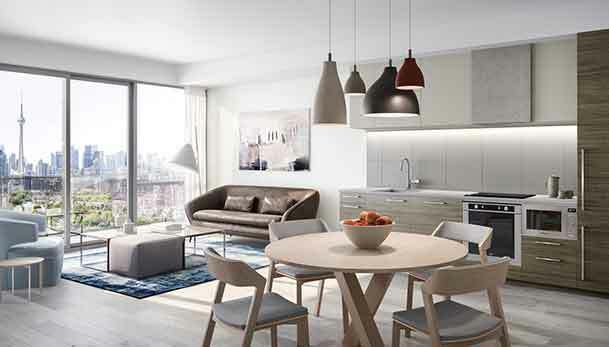 CentreCourt Developments has carefully selected materials, exquisitely crafted, to create an awe-inspiring 32 storey high-rise tower offering 481 elegant suites. 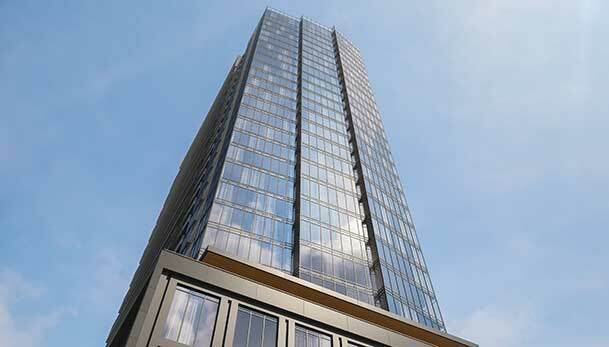 A shiny tower evokes powerful sense of space and luxury fit for even the most refined tastes. ZEN King West is a pre-construction mixed-used development. 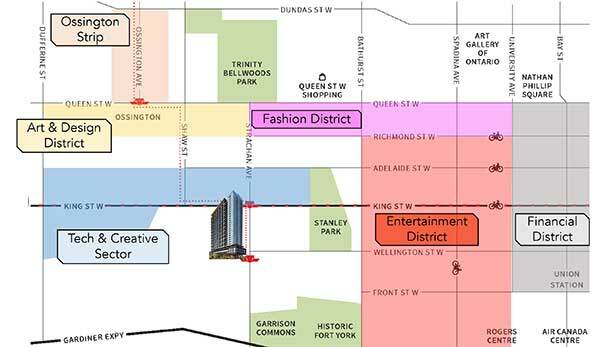 The proposal calls for a retail/residential high-rise ascending 32 storeys sitting above a podium with an estimated count of 481 well appointed suites. It’ll be launching in mid August and coming soon and taking it’s place at 20 Strachan Ave in the King West Village neighbourhood of Toronto. 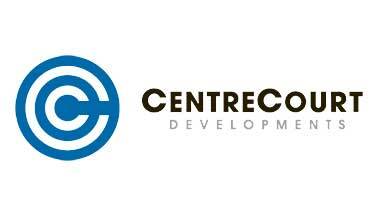 Centrecourt Developments is forefronting this project along with Page + Steele IBI Group Architects as the designers. They’ll surely change your views on downtown living. The building will be anticipating and welcoming its first residents in 2020. 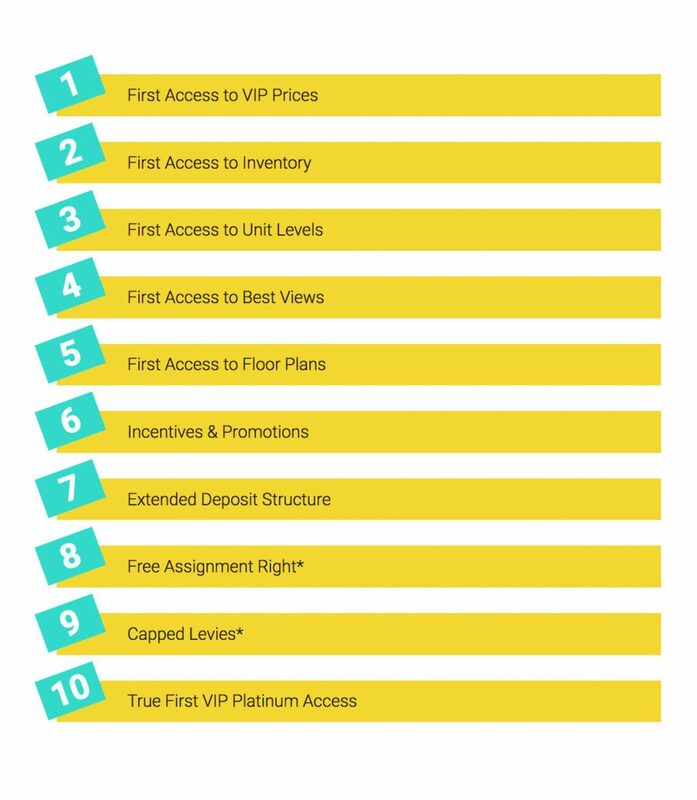 Register here for First Access to ZEN King West Brochure, Floor Plans & Price List. 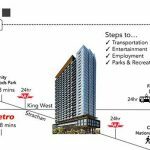 ZEN King West condo project will be situated just east of King West Village, south of King West and north of the Gardiner Expressway. Specific plans for the site have been submitted, but no decision has yet been finalized. 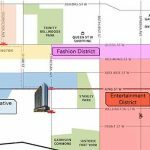 The area has drastically gone through a renewal of sorts, long gone is its industrial past, as it rings in many new mid to high-rise dwellings that is catering to the young and hip urban millennials, downsizers and growing families alike, who are seeking a true downtown experience. The area has been at the leading edge of the city’s condo explosion. 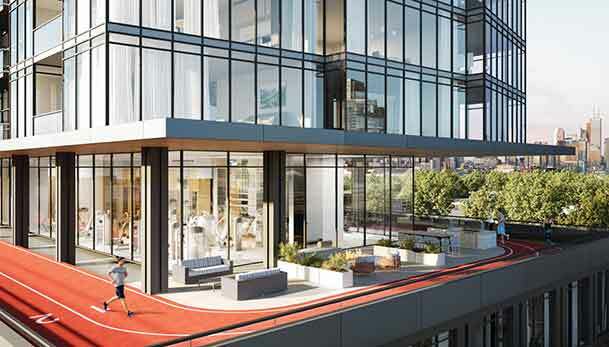 In reality this neighbourhood owes its momentous resurgence to the building of such complexes, where many are choosing to work and live in a coveted pocket within the downtown core. Today, the primary appeal for many residents here, are the conveniences it offers. A cityscape that, even though it may be a little helter-skelter-ish at some instances, it surely offers a number of varied leisure options for every person to indulge in. 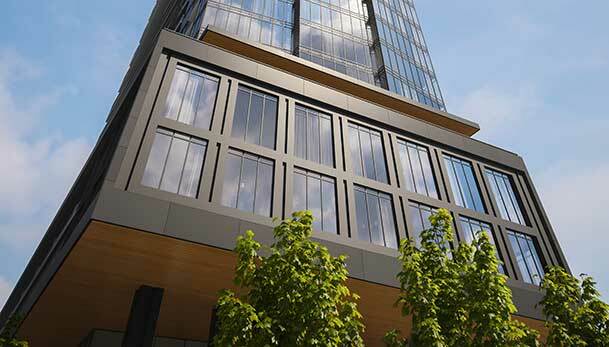 A sleek yet modern high-rise in one of Toronto’s hipster neighbourhoods. This project will contain a mixture of unique varied floor plans and price points that range from one to three bedrooms + den layouts, in order to entice a motley demographic, mixed income levels, young and old, singles and growing families the option to continue to reside within the neighbourhood once they have kids. Right now the proposal calls for a total of 481 residential suites and of the 481 units the breakdown mix are 300 - 1 bedroom and 181 - 2 bedroom units. 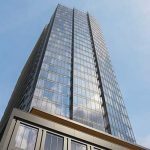 ZEN King West tower will carry a full complement of premium features and finishes, that include engineered hardwood veneer or textured grained laminate flooring throughout all living spaces, expansive windows, with bright open concept designs. The kitchen will have superior selected appliances, granite countertops with designer cabinetry. The spa-like bathroom will encompass a deep soaker tub, a contemporary vanity, glass enclosed shower, along with many other fabulous luxury standards that Centrecourt is synonymous for. Each suite is well equipped to host your family and friends or to act as your very own personal retreat. Engineered hardwood veneer or textured grained laminate flooring throughout all living spaces. 9’ foot ceiling heights with smooth finishes. Expansive windows, with bright open concept designs. The kitchen will have superior selected appliances, composite stone countertop with designer cabinetry and an undermount stainless steel sink. Spa-like bathroom(s) will encompass a deep soaker tub, a contemporary vanity, glass enclosed shower, along with many other fabulous luxury standards. Centrecourt is synonymous for providing the utmost excellence. Each suite is well equipped to host your family and friends or to act as your very own personal retreat. With an intrepid vision, all the amenities are carefully planned and designed to aid you in living efficiently. Centrecourt’s objective is to provide its citizens with all the conveniences and luxuries one needs to flourish inside a rapid-paced, vibrant epicentre. ZEN King west is all about dedication to higher living, the lobby area inspires a peaceful higher state of being as it features a fireplace with warm palettes. Designed for exceptional comfort, the space is also enveloped with exquisite finishes and touches. Whether it’s mind, body or soul, you’ll be able to achieve a healthier you. 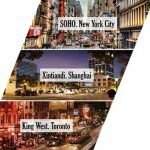 Uncover your greatest self with the way of life that is created here at ZEN King West. A truly condominium lifestyle that you've been waiting for has arrived. Welcome to tranquility and serenity. Beauty, sophistication and form, together as one! A 24/hr security and concierge service that will welcome you and your guests upon arrival. IQ food Co., will be situated on the ground floor, and will aide you in living a health-conscious lifestyle with scrumptious and sustainable menu alternatives. A multi-purpose room with a fully equipped kitchen, dining area, theatre room, along with a landscaped terrace with lounging areas, BBQ stations and green spaces. On the elevated podium, is where you will find ZEN Spa, a five-star European-inspired style facility that encompasses 2,000-sq-ft., of space that includes a fitness emporium that will allow you to indulge in yoga, pilates, cardio and strength-training if that’s your style of exercise. The area will also comprise of a 200 metre outdoor Olympic size running track that will wrap-around the complex. Revive your senses with the one of a kind chromatherapy showers, which is the use of coloured lighting. This method, in combination with hydrotherapy can create particularly soothing outcomes, along with the use of L’Occitane products. Decompress in the oversized sauna or unwind with a private massage. You can then indulge in the European-influenced hot and cold plunge pools, to refresh or invigorate the body. Last but not least, enjoy the comforts of privately sectioned cabanas with waterside ample seating, exterior lounge and outdoor recliners while you revel in high-speed wireless internet as you overlook the stunning view of the city’s skyline. The main highlights of this desired locale that this residential tower will be in is its walkscore of 91/100 and transit score of 100/100, where you are situated a block away from the 24/hr King streetcar, short walking distance to the GO Station, several bus routes, the CNE grounds, close to The Entertainment District, minutes from Lake Ontario and the downtown core. Many amazing eateries, schools, bars, world-class shops, cafes, supermarkets, you name it, you got it!. Also nearby parks include Coronation Park, The Gore and Inukshuk Park. Commute to the Financial District which is home to over 482,710 jobs, including secondary startup jobs in the middle of King West Village, all of which are mere minutes away, in addition, the city’s educational facilities, such as Ryerson University, University of Toronto, OCAD and George Brown College are also close at hand. All the hustle and bustle Toronto has to offer, is all at your fingertips. Most locals don’t drive as everything you need is within walking distance. However, for those who opt to drive, access to the Gardiner, Lakeshore Blvd and many other thoroughfares are all in close proximity. 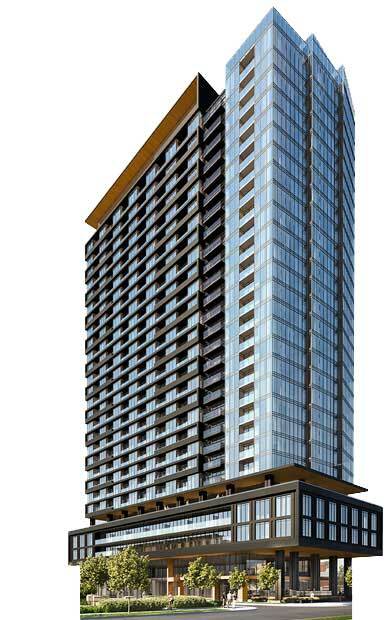 ZEN King West building is not just a beautiful place to live, learn, work and play but a protected investment. It’s an area that Is frequently highly-sought after because of its prime location-close to downtown, stellar amenities and conveniences. 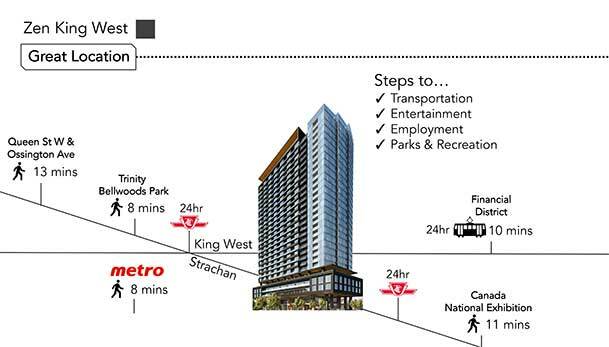 Urban, dynamic and connected- ZEN King West development project offers the ultimate urban style of living. It’s an optimal place to both invest in, or call home-don’t miss out on this incredible opportunity. 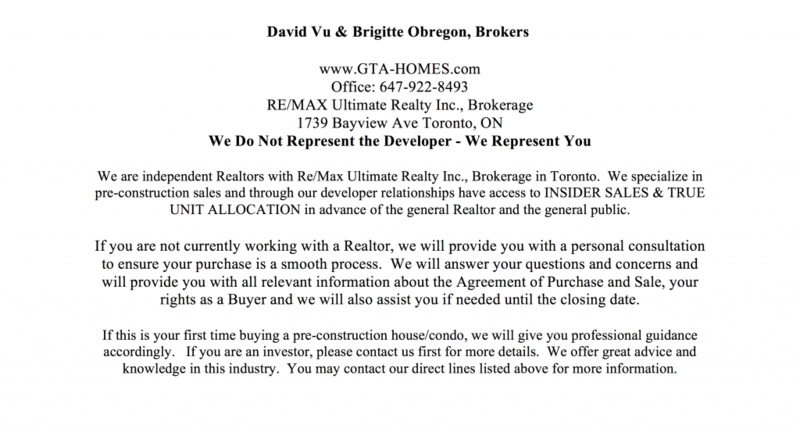 Located in the heart of King West Village a city within a city. "The mix of new modern urban buildings within the existing Victorian style architecture surroundings offers a charming and trendy atmosphere that is unique and beloved by many. 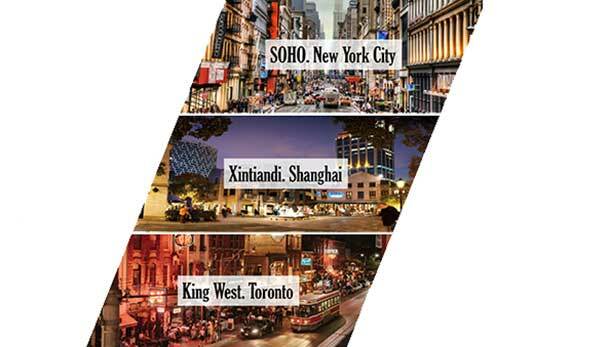 King West has been often compared with Soho, in New York City." CentreCourt Developments has a vast portfolio of high-rise residential development projects that are either completed or in various stages of development within the GTA. They have a total of over 5,000 homes built thus far. They are looking to add to that count by hoping to deliver another 3,000 on top of their current total. They have a niche for scoping out neighbourhoods with remarkable facilities and proximity to both public transit and employment sectors, which makes their ventures top-notch alternatives for any first-time homebuyer or eager investor. Their hallmarks have usually been advanced, precise and built with first-rate craftsmanship, with present day architecture and high-end quality finishes. They aim to construct linked communities due to the fact they believe that connectedness results in a colourful and resilient city. They are also committed and driven to heighten the urban experience by positively impacting and stamping their brand throughout the GTA and beyond. 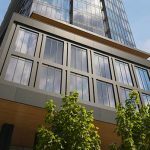 This is why we're excited for ZEN King West Condominiums launching Fall 2017.